Scottish Deerhound Temperament (Dignified, Docile): Are You a Royal Match? The Scottish Deerhound temperament makes him a dog unlike any other. For instance, you may think of a dog as a creature that loves to play fetch or guard his family against a potential threat. Neither of those things describes the Scottish Deerhound. While every dog is different, what follows are the four characteristics of the Scottish Deerhound temperament that tend to remain the same across the board. Scottish Deerhounds are just as docile with other dogs as they are with people. However, they will think nothing of taking off after anything that runs away from them, including cats, rodents, and even smaller dogs. For this reason, if you are considering adding a Scottish Deerhound to your family, it is best not to have any smaller pets in the house. He does swimmingly, though, in a house with other dogs his size. As puppies, Scottish Deerhounds are active troublemakers like any other dog. However, as adults, their behavior is more refined, and they become very undemanding and dignified. The Scottish Deerhound is like a member of the royal family. He knows the rules insofar as proper behavior, and he does not appreciate too much attention. In fact, if you give him too much love, he may just get up and move to another area of the house. He does not enjoy feeling like his personal space has been invaded. While early socialization is key with any dog, the Scottish Deerhound is typically friendly with strangers from the moment he’s born. For this reason, he does not make a good guard dog at all, and most of the time, he can’t be a good watchdog either. It’s quite common for the Scottish Deerhound to remain lying down even when someone is at the door. He just doesn’t have the instinct other dogs have with regard to perceiving strangers as a potential threat. He is naturally calm, quiet, and well-behaved, which makes him, essentially, the perfect dog. Of course, this is if you install an alarm system to make up for the lack of protection a dog owner might otherwise enjoy. Scottish Deerhounds are gentle souls that respond best to cheerful owners. When you ask him to do something, he may appear to be humoring you as he complies in his soft and gentle manner. This makes him so sweet that it’s almost comical. You have to be so careful with the Scottish Deerhound when he’s outside. Give him plenty of space to run, but allow him to do so in a safe, enclosed area. Else, he could take off and, within mere seconds, you won’t be able to find him. 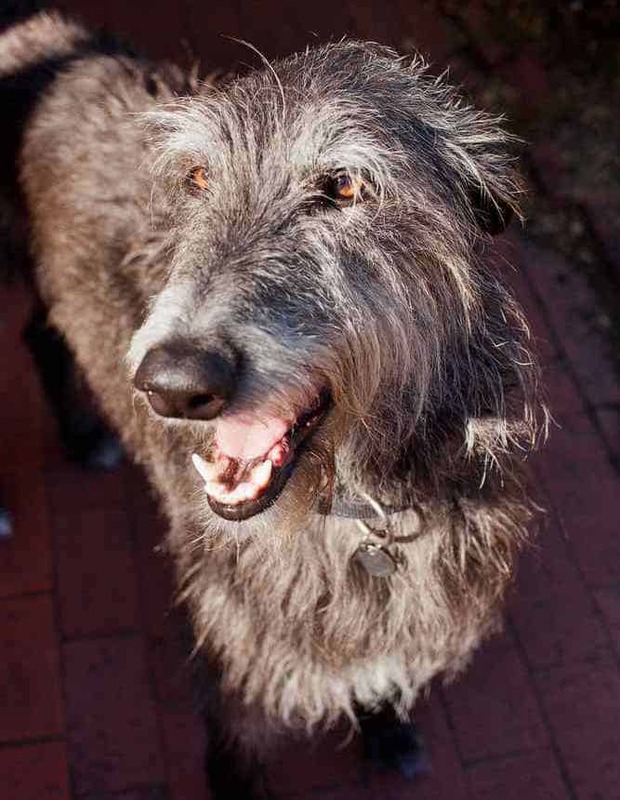 Because of his calm and gentle demeanor and his decently active lifestyle, the Scottish Deerhound is the perfect choice as a pet for a first-time dog owner. The Scottish Deerhound is one of the few breeds that dates back to before history was even recorded. However, what we do know is that early hunters used the breed to take down hoofed prey like deer for their meals. If you have ever heard of a comparison between the Scottish Deerhound vs Irish Wolfhound, that is because the two are related. 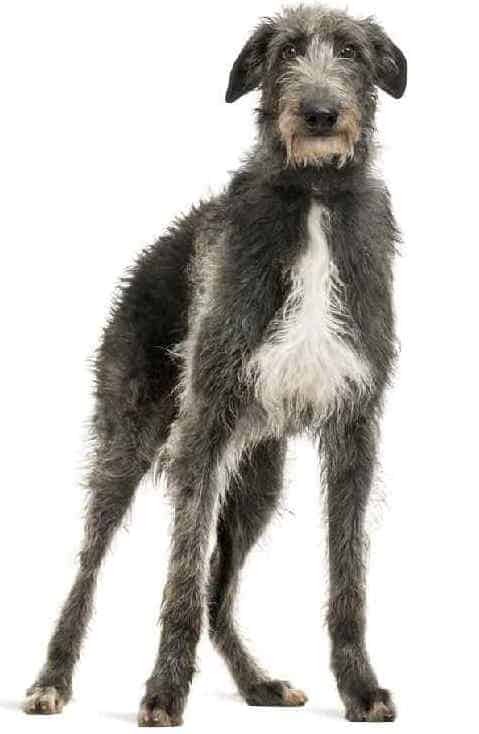 In fact, experts credit the Scottish Deerhound with the recreation of the Irish Wolfhound when breeders recreated the latter at the end of the 19th century. Like many breeds out there, the Scottish Deerhound is a sensitive dog. What this means is that he responds better to praise and rewards than he does to a harsh scolding and spanking. He may be quiet and dignified, but he also may not be able to pass up the temptation of a smaller animal crossing his path. For this reason, you need to keep him on a leash or a fenced-in area to stop him from chasing after smaller animals as if they were prey. Another important point to remember is that, while the Scottish Deerhound does love children, younger children may fear him because of his larger size. You don’t need to do much to maintain the coat of the Scottish Deerhound. Brush it and comb it once a week to keep it looking healthy. Give him the occasional bath to reduce odor, and clip his nails about once a month. The thing Scottish Deerhounds love most and do best is to run. Breeders created the breed to hunt deer twice their size, after all. This is not the kind of dog you should leave in a crate all day while you’re at work. He does not do well with that. Those who work from home are better suited for this breed because they can let him out at various points throughout the day to run. If he’s destructive, he should not be harshly scolded for it. This is his way of telling you that he’s not getting enough exercise, that he has cabin fever, and that he’s bored. This goes for both puppy and adult Scottish Deerhounds. However, you should not engage younger Scottish Deerhounds in harder exercise, like running alongside your bike. That said, a simple walk around the block every day isn’t going to cut it for this guy. Even older Scottish Deerhounds, who may be more difficult to motivate, still need daily, vigorous exercise. The average Scottish Deerhound size is between 88 and 110 lbs. for a male, and 77 to 95 lbs. for a female. So, if you’re looking for a big dog, the Scottish Deerhound is it. The average Scottish Deerhound height is between 30 and 32 inches, and has a lifespan is between 8 and 11 years. Note: Don't let the many issues above scare you. The best way to approach health problems is to prevent them in the first place. The Ultimate Guide to Dog Health is a great place to start. Get a copy to keep at home. It will help you prevent the painful health issues that can plague your lovely Scottish Deerhound from expressing his winning personality and maximizing his life expectancy. So, you've decided that you'd like to bring a Scottish Deerhound into your home. Wonderful! 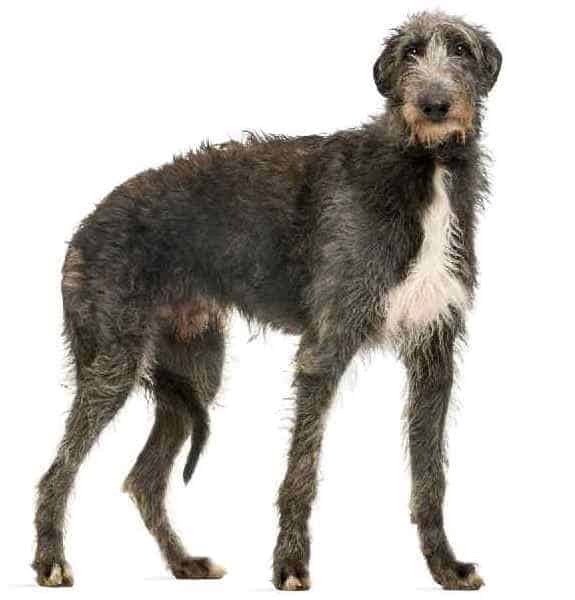 You can find one either from a Scottish Deerhound breeder or through a local rescue or adoption agency. A Scottish Deerhound for sale will cost you around $1,000. However, it’s not unheard of for the occasional Scottish Deerhound price to be closer to $2,500. It all depends on what a breeder decides to charge and the lineage of the dog. If you want to adopt a Scottish Deerhound, you can find one through your local rescue organizations or adoption centers. An adoption is a great idea if you are looking into getting an older dog. Older dogs are more likely to have grown out of the problems that typically come with getting a puppy, like chewing and housetraining. 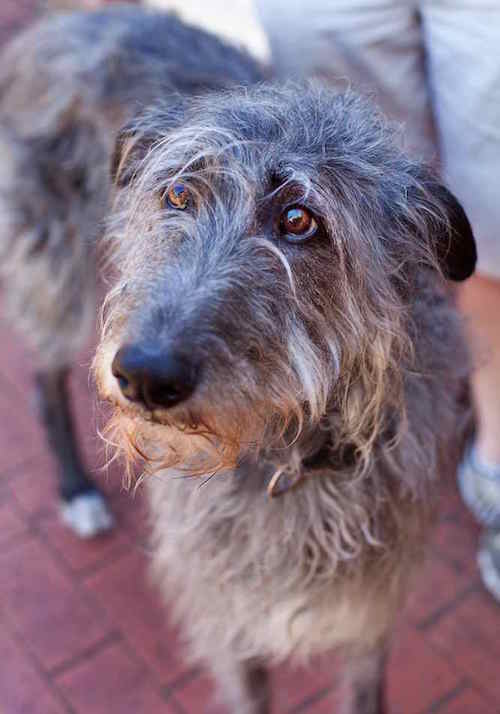 Adoption is also a great way to find a Scottish Deerhound mix if mix breeds are more your thing. If you are looking into Scottish Deerhound breeders, you may want to check out The Scottish Deerhound Club of America. The site is chock-full of useful information on how to find the perfect breeder for you. Conclusion: Why the Scottish Deerhound? The Scottish Deerhound temperament makes him a joy to own – so long as you don’t mind not having a dog for the purpose of protection. He is gentle and docile, and he wouldn’t think of it to bark at a stranger who may approach his home. He is friendly to all newcomers, and he gets along great with other dogs – though smaller dogs and animals may tempt his instinct to hunt.